Most likely you have encountered Buderim’s Lions where they are raising funds through LIONS BBQ’s, LIONS Mints, and LIONS Christmas cakes. 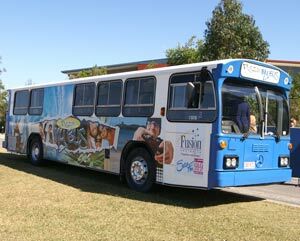 These activities are important, but there is much more to the local Buderim Lions than these ubiquitous activities. Your local Lions Club of Buderim is heavily engaged in important volunteer programs, to help support local youth and families. All these initiatives are making a great impact on our community. If you are seeking a way to make a difference in your neighbourhood or for the greater Sunshine Coast, join us now and you can be a part of an organisation which is making a real difference through volunteering. The Buderim Lions are busy creating a difference through major projects, many focus on the youth of our community. The Lions of Buderim are part of an international organisation of like-minded people, seeking to bring about a better world through stronger communities. 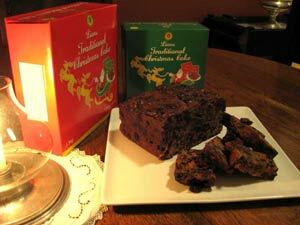 Please buy a famous Lions Christmas Cake / Pudding for yourself, friends and family, to support our important and ongoing community work. We have a limit stock available out of season too! Please send an email to Ian and he will sort it for you. Support the Leos at the USC event to aid in raising funds for Diabetes research. Come up for our big Buderim Easter Fair at the Memorial Hall. $2 parking behind the hall and at the school. Congrats to Jade and Mia from Chancellor State College, our winners of Buderim Lions Youth of the Year. Our future is in good hands. Don't Eat Breakfast on Australia Day . . . unless you are getting it from our Aussie Breakfast Pop Up Eatery in Middys on Main Street. The best brekkie you'll have all year and that's fair dinkum! Knock over your Chrissy shopping locally and support your community at the same time. Buderim Lions BBQ at the "Living Gems" event in Pacific Paradise over the weekend. Would have been interesting being up on stilts with a parasol in the wind gusts that were about! Join us at this year's Big Buderim Easter Fair. Always a great event. Cheers to the new home of the Buderim Lions monthly dinner meeting. Delicious dinner, friendly service, thanks Buderim Tavern! Hats off too for Matt Druce of the SDDCA who is our special guest. 50 years serving our community. http://www.buderimlionsclub.org.au/50-year-anniversary/ Pics and the souvenir book are online at the Buderim Lions website. This year will be huge on Buderim Mountain. 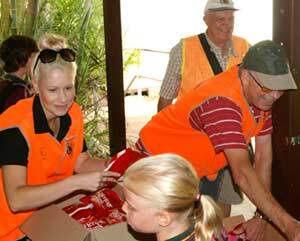 Lions are again working with Rotary in Buderim to bring a fantastic event to our community. Be there! Another big breakfast serving the community the Buderim Lions' Finest Fare 🙂 Started in the dark and ended several hours later, around "brunchtime". Recently we had a "Crazy Hat Day" as a theme for the Mooloolaba Walk to School - it was a lot of fun and everyone got in the spirit!